After he wrapped a lengthy career in medical research, biochemist Dave Purdon spent another 12 years teaching in the Camden City public school district. Searching for ways to make complex scientific principles more relatable to high-school kids, Purdon did a little simple arithmetic of his own, and ended up with the foundation of a start-up business. “Given this DIY movement and the fact that a lot of components of analytics instruments are becoming generic and low-price, I felt I could remove a barrier to learning,” he said. Purdon’s plan is to engage students with hands-on activities—i.e., building and testing simple scientific instruments—with inexpensive materials. Performing these experiments allowed his students to discover the story behind the theories in their classes. Today, Purdon continues to develop his business model for assembling, packaging, and retailing these low-cost science kits for kids. 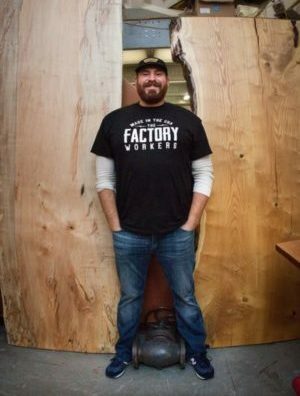 He chose The Factory for its proximity to his home, affordable rent, and eclectic atmosphere, but also sees entrepreneurship as “the last little stone unturned” in a far-ranging professional life.